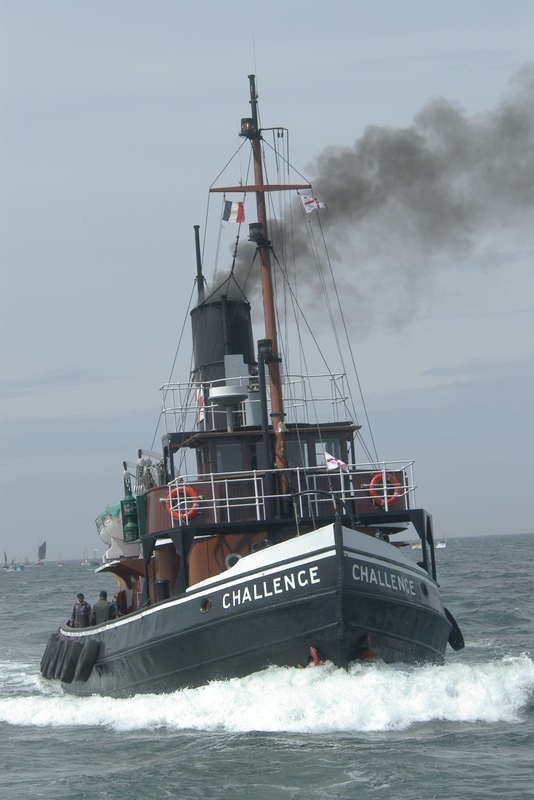 CHALLENGE is the last surviving example of a large purpose-built, Thames ship-handling steam tug, where she was based for her entire working life, although she carried out work as far afield as Scotland , Holland , Belgium , France and the south coast of England . 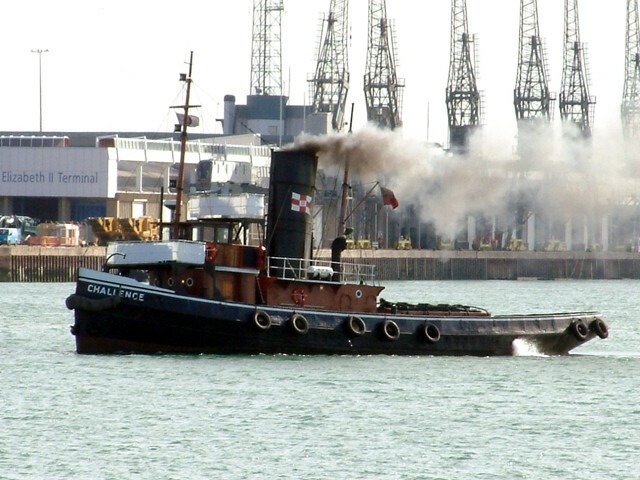 She was built in 1931 by Alexander Hall & Co. Ltd of Aberdeen , for the Elliott Steam Tug Co. Ltd (who operated her until 1950). Her 1100hp triple expansion steam engine was also built by Hall, whilst her boiler* was by Palmer's Shipbuilding & Iron Co. Ltd, of Hebburn. 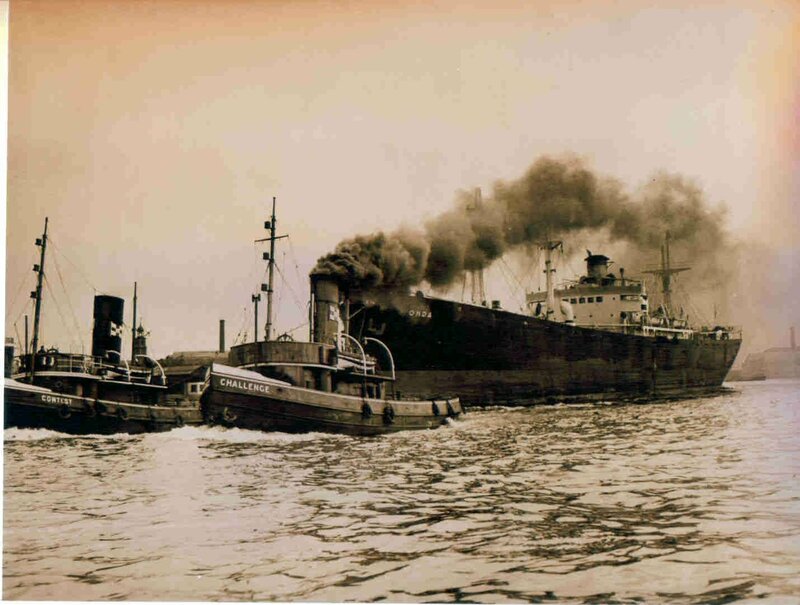 She passed through two further ownerships: Ship Towage (London) Ltd (1950-1969) and London Tugs (1969-74). CHALLENGE was one of the Dunkirk Little Ships engaged in the evacuation of Allied troops from France in May and June 1940. 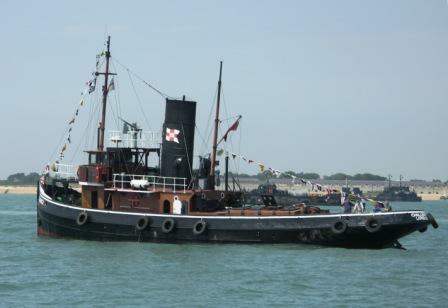 On 31 May, she worked at Dunkirk berthing vessels in the harbour during the evacuation and, the following day, towed small craft to Dunkirk to evacuate troops. At one point, she towed a disabled destroyer loaded with troops back to port. She was also involved in duties at Dover around this time, assisting ships which were engaged in the Dunkirk operation. After returning to the Thames , she was fitted with a flying bridge to mount an Oerlikon cannon, and a forebridge for two Lewis guns. 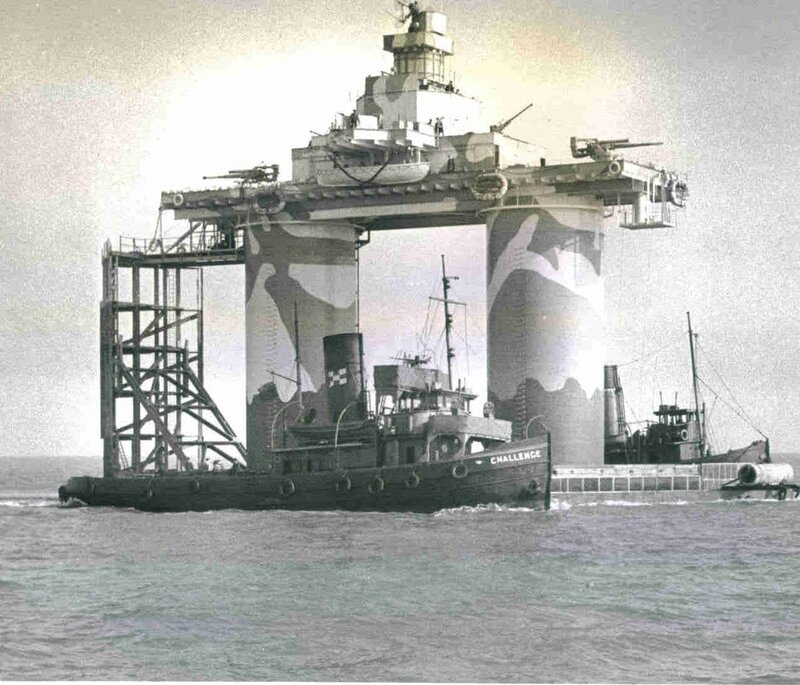 Her work in 1941 included towing Maunsell anti-aircraft towers out into the Thames estuary; towing Army Sea Forts for assembly in the estuary. In 1944, she towed parts of the Mulberry harbours used in the D-Day landings. On 3 July 1944, she was damaged by a V1 flying bomb in the Royal Albert Dock and was repaired at Rotherhithe. She still bears the marks of this attack. After the war, she continued in Thames service and was converted from coal to oil firing at Sheerness in 1964. 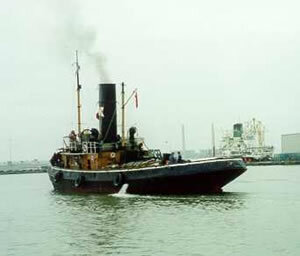 In about 1971, she was laid up at Gravesend, having been the last steam tug to serve on the Thames . 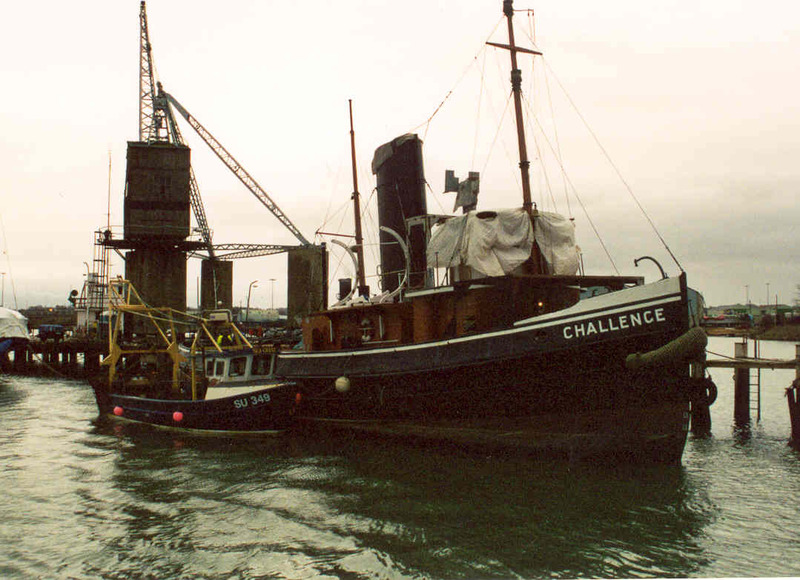 In 1973, CHALLENGE was sold to Taylor Woodrow Ltd for preservation at St Katharine's Yacht Haven, near Tower Bridge, and was berthed there as a static exhibit. More recently she was acquired by the Dunkirk Little Ships Restoration Trust (July 1993) for restoration to steam. 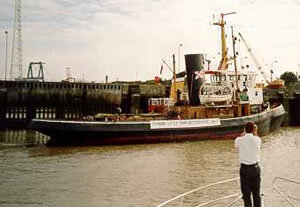 With the aid of Sun Tugs and the Port of Tilbury she was moved downstream to Tilbury where groups of volunteers slowly brought her back to working condition. The hull was in need of repair, particularly along the waterline. After obtaining a grant from the Heritage Lottery Fund in 2001 she was towed to Marchwood (Southampton), slipped and repaired and repainted. After relaunch she was shown at many locations including Liverpool, Bristol , Brest , Holland etc. In 2005 Challenge returned to Dunkirk for the first time since the 1950’s. In 2007 increasing concerns about her boiler – still the original – led to investigations which made it clear that it needed replacement to meet pollution and safety requirements. Currently she is still being cared for by the Dunkirk Little Ships Restoration Trust at Shoreham Harbour where she is under constant maintenance by her dedicated volunteer team whilst awaiting (March 2011) the results of the subject of a further bid to the HLF for the second phase of her restoration including a new boiler.